Imagine this - you wake up up one day and your home and business have been decimated by fire and you're not insured. This is a reality for Pamela Robins. 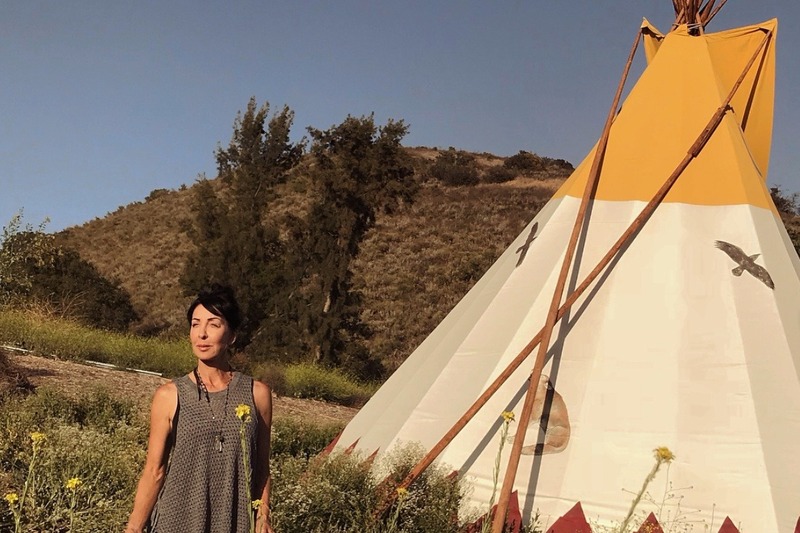 The author of Mediating with Animals and owner of the House of Two Spirits, sadly lost her home and beloved tipi during the recent wildfires in California. This Go Fund Me campaign is dedicated to a unique human who has helped many people heal. You may have heard of this little piece of paradise in the Agoura Hills from a friend or on Instagram. 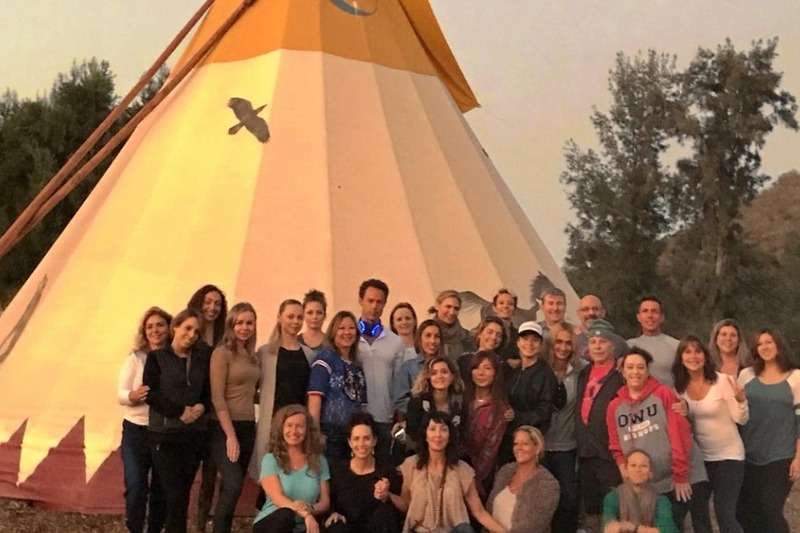 For those of you lucky enough to visit the Tipi, I'll guarantee that you'll have left Pamela's home feeling much better than you did when you arrived. It was truly special and we have Pamela to thank for creating it. 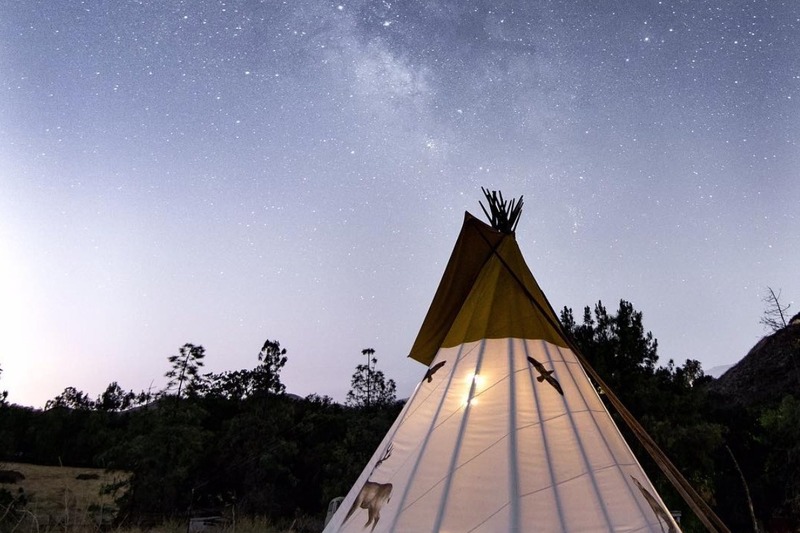 A series of major life events led to the creation of this tipi. 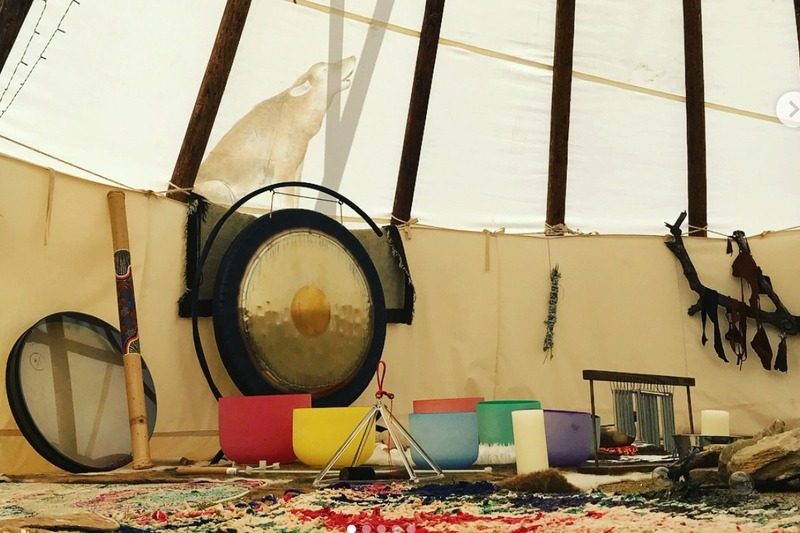 Starting with the death of her mother, a bout with cancer, paralyzed vocal chords and the loss of her marital home - they all combined to create a space in Pamela's life for the tipi to rise. It was her fearless creativity that enabled her to single-handedly create the Tipi in God's own country, guided by divine grace, surrounded by mountains and stewarded by the animals. It was nature's stage - noble birds would guard the poles and the coyotes would sing at the end of a sound healing workshop, as if on cue. Pamela recalled that at her last retreat the coyotes didn't sing. "I wanted so much for everyone to hear them, so I closed my eyes and asked for my friends the coyotes to sing for my guests." Of course they blessed Pamela with a brilliant encore - such is her gift and connection with the animal world, as well as the sacred space that she created. Pamela's open-hearted willingness to welcome people to her back yard to host healing experiences in nature is unique in this day and age. But she is unique - and her generosity of spirit knows no bounds. Even in her darkest hour when she had learned that everything was gone (except her car, her cats and her instruments), she demonstrated an unswerving grace under pressure. When I suggested that we start a Go Fund Me page for Pamela she, true to form, replied "No, no - so many more people need help I can't possibly ask!" When I pointed out to her that most people didn't open their door to strangers every week for healing ceremonies she gracefully (and grudgingly) acquiesced. She is learning to accept help - so let's give her some!! Pamela has lost her home, all her possessions and business so she needs us to STAND UP AND BE HER TIPI POLES. If you're half as willing as Pamela to help humanity, then this Go Fund Me will be a huge success. So, whilst she is recovering from this traumatic ordeal and working out where to boldly go next, she needs assistance and she's not very good at asking for help, so we're doing it on her behalf. Having lost all her possessions in the fire that engulfed her home she needs clothing and a safe place to accommodate her cats as they are traumatized from constant moving. I should add, most importantly that Pamela, her two cats and beloved horse Tuxedo are all safe. The Group raising the money on behalf of Pamela are her colleagues and dear friends. The House of Two Spirits will continue because Pamela will continue. 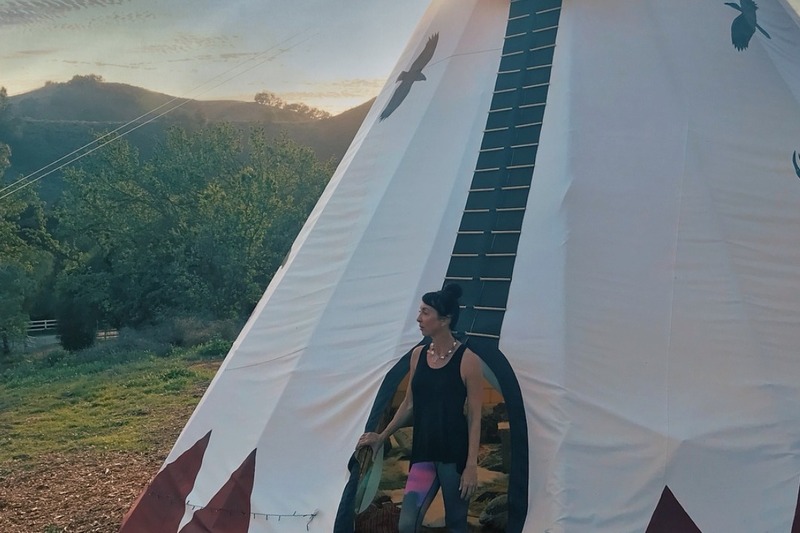 She has identified a new piece of land that is suitable for a healing space, so supporting her will help Pamela, her work (and tipi) rise from the ashes. Gifting today is a gift to humanity, so sacrifice your daily Starbucks to help this beautiful human rebuild her life and community. After the fires have destroyed so many homes, the community needs a healing space more than ever. 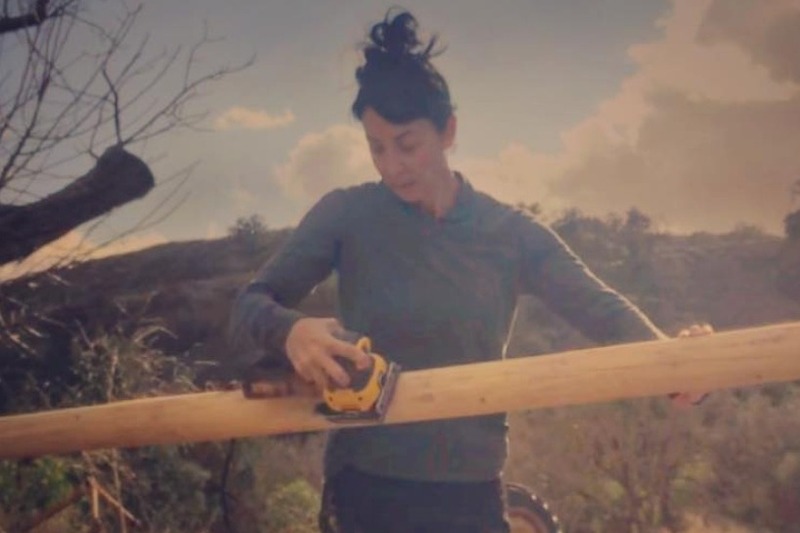 This campaign will help Pamela and her team create a new space in a new location and build a beautiful healing retreat for us all to enjoy for many years. Let's all rise together as a pole to Pamela's Tipi until she can rebuild a new one. The final words go to the coyotes, howling at the moon. Hello amazing, wonderful, kind, compassionate gorgeous soul family! I truly wish I had been on here sooner to update all of you and THANK YOU with all of my heart for the outpouring of support and love you have shown to me during this time of great change. I have moved 5 times in the last few weeks, the last home being a stabilizing and loving environment and as of 2 days ago am now temporarily settled into a space that I can begin to recalibrate and begin to heal. The month of December is going to be a time for introspection, writing, healing, allowing, flowing, observing. Knowing me, after that I will be ready to take action and look at rebuilding the Tipi as I look for a more permanent living situation. I'm not in a rush as I feel that I have been given a very special gift -- of freedom, time and adventure that I would never could have created for myself otherwise. It is with that in mind that I want to weigh all the options and see what/where/when my heart will sing and guide me to the next right moves. I will be responding as I am able to each and every one of you. It was never my "thing" to accept help in life, I have always needed to be strong and take care of myself. So please know that each one of you has played a role in healing this part of me, helping me to soften, grow/expand and connect. Had this not happened I don't know if I ever would have found myself in a position to consider receiving abundance in all its forms - and that would have been a life experience that would have been a shame to have missed.